In the 17th century a movement developed in Japan to make esoteric wisdom available to a wider constituency. This movement was rooted in the Buddhist belief that the mission in life of an enlightened being is to bring enlightenment to as many other sentient beings as possible without - to use a 21st century expression - dumbing down the essence of the wisdom. The main drivers in the movement were Basho the haiku poet, the Zen teachers Bankei and Hakuin, and the Zen painter Sengai. Such was the success of the movement that the esoteric discipline of Zen - the art of nothingness - has become in the 21st century a mass market commodity. Just one example of that mass market reach is provided by Robert Pirsig's book Zen and the Art of Motorcycle Maintenance. This has sold more than 5 million copies worldwide; an audience that beleaguered classical music would die for. What is surprising is that the question is not 'what can classical music learn from Zen? ', but rather 'what did classical music learn from Zen and subsequently forget?' John Cage's involvement with Zen is widely celebrated, and Kay Larson's book Where the Heart Beats: John Cage, Zen Buddhism and the Inner Life of Artists is highly recommended. But other influential musicians exploited the Zen credo of less is more in ingenuously nuanced ways. 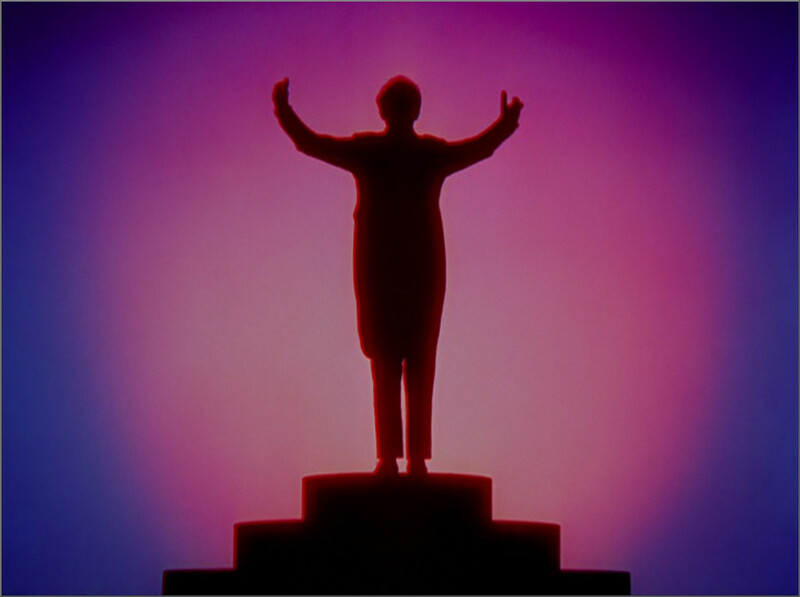 That image showing Leopold Stokowski conducting is a still from the hugely influential Disney movie Fantasia. Stokowski, who was a member of the esoteric Theosophy movement, used Zen-like techniques in the concert hall and on film to focus the audience's attention purely on the music. This controversial but powerful technique of focussing on the conductor as a channel for the music was taken to its apogee by Herbert von Karajan. Given the endless focus on Karajan's private life it is surprising that his study of the works of the German Jesuit priest and Zen master Father Hugo Enomiya-Lassalle, who in turn was a pupil of the Zen Rinzai priest Harada Rōshi, is overlooked. Karajan's self-directed films of the Beethoven symphonies exude a Zen-like intensity, and at a Karajan concert subliminal forces directed the audience's attention to the the music to the exclusion of everything else. In an age where only three things matter, audience numbers, audience numbers, and audience numbers, it is worth remembering that global sales of Karajan's albums have topped the 200 million mark. And it is also worth remembering that the great majority of those sales were achieved before the advent of Twitter, Facebook and Norman Lebrecht. Of course classical music cannot wind the clock back to the era of Stokowski and Karajan. But classical music can learn from the past, and it can learn from the Zen principle of less is more. The new gurus are right when they say classical music has too many silly conventions. But they are totally wrong when they advocate replacing those silly conventions with yet more silly conventions transplanted from rock music. What classical music needs is not more and different conventions. It needs less conventions and a more single-minded focus on the music; because the truth is nothing more than the music. And as Robert Pirsig tells us in Zen and the Art of Motorcycle Maintenance: "It is a puzzling thing. The truth knocks on the door and you say, 'Go away, I'm looking for the truth,' and so it goes away. Puzzling." With acknowledgement to Zen and the Beat Way by Alan Watts and Robert Pirsig's Zen and the Art of Motorcycle Maintenance. Any copyrighted material is included as "fair use" for critical analysis only, and will be removed at the request of copyright owner(s). Also on Facebook and Twitter. It seems with Karajan that the roots run deeper. It is known that from the 1920s until his death in 1959 that 'pioneer of Yoga in Germany' Boris Sacharow was particularly active in Germany. Some of his notable students included Siegfried Wagner ( http://wiki.yoga-vidya.de/Boris_Sacharow ). It's interesting to note that in Osborne's biography, there is mention of Karajan's Yoga activity in the 1960s. Could Karajan -- in addition to his Zen studies -- have studied with Sacharow, or one of his disciples? It's notable that Sacharow didn't simply teach Hatha Yoga, but also the more esoteric forms (mental concentration, breath control etc. ).